This home, located in Martis Camp, a family oriented resort in the Sierra Mountains above Lake Tahoe, was designed for a young and active family. Comprising only single family homes - along with the club facilities - Martis Camp offers a range of outdoor activities: skiing, golf, mountain biking, hiking and fly-fishing. 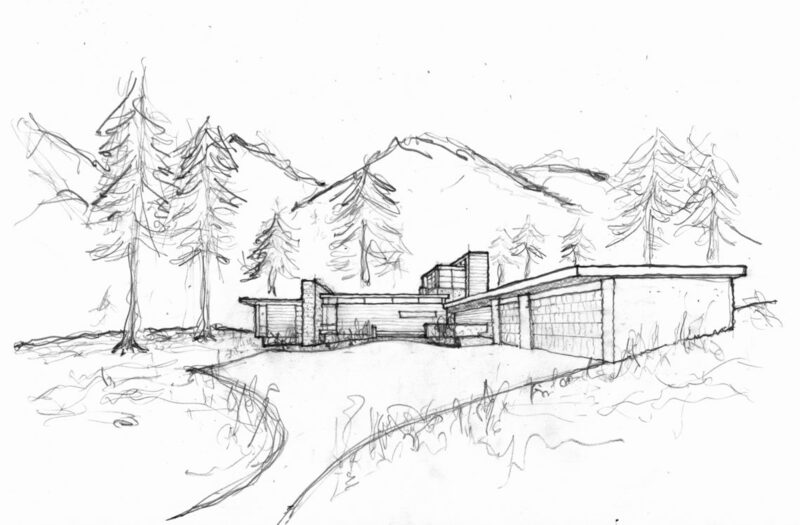 Our design looks to highlight and support this mountain lifestyle by integrating the home into the landscape; taking advantage of the spectacular views and offering seamless connections between the indoor spaces and the multiple terraces and play areas. Designed for guests and family this five bedroom home includes two fully appointed master suites as well as kids’ bedrooms, play area and a nanny suite. The main living area, a single room with living, dining and kitchen, allows for family and guests to come together for meals and sitting around the fire at the end of the day. Quieter and more private rooms include a media room and office/library space.